We work with and for people. In its long corporate history, Wilkhahn can look back on a sustainability philosophy that has grown over decades. Terms such as longevity, social fairness, environmental responsibility and cultural orientation have developed into guiding corporate principles since the 1950s. If Wilkhahn is today regarded internationally as a model of excellence not only on account of its products but also because of its modern corporate philosophy, then this stems from the early awareness that a design approach with a long-term focus should incorporate both environmental aspects, as well as the improvement of social relations and the development of a company’s cultural role. This understanding of corporate activities creates a bond between us and our customers throughout the world. There is surely no more rewarding task than working together for a successful future that is worth living in. Truthfulness in product design We strive to develop lasting products, increase their utility value and reduce waste. “Less is more” or “reduce to the max” are the guiding principles that Wilkhahn continually translates into future contexts. Ecologically oriented design principles are a natural, integral part of product development. We focus on people. This implies a cooperative style of management that recognizes employees’ representatives as being co‑managers who share in shaping the company. Profit-sharing for employees, the development of new forms of work with partly autonomous group and project work, as well as a firmly established health management scheme mark Wilkhahn’s social orientation. Wilkhahn pursues the goal of sustainable development. Wilkhahn corporate culture is shaped by the balance that we strive to achieve between economic, ecological, social and cultural objectives for safeguarding the independence of the company. Adherence to environmentally relevant criteria throughout the entire product life cycle forms the basis of the way in which we judge our success. Top performance requires a potential- driven corporate organization with flexible working hours, a bonus scheme, and group and project work. In turn, all employees share in corporate success in material terms. They have a comprehensive pension scheme; they are at the heart of company health promotion measures and they work in an environment that, by taking groundbreaking steps in industrial architecture, strives to achieve a synthesis of social, ecological, economic and aesthetic needs. Wilkhahn office ranges are not only certified according to internationally relevant testing and inspecting standards regarding product safety and functional integrity, but they also meet all important international reference systems for highly healthcompatible and environmentally friendly products. Virtually all Wilkhahn products undergo testing and certification in accordance with GREENGUARD. The Greenguard Environmental Institute is an independent institution in the US that certifies products with regard to their suitability for interiors. Besides environmental aspects, special focus is on ensuring that products do not emit any pollutants that might be harmful to health. Leadership in Energy and Environmental Design (LEED) is a rating system used by the US Green Building Council to evaluate the environmental and social compatibility of buildings. LEED certification awards extra credit points if Wilkhahn office chair and table ranges are used. Green Star is an extensive, voluntary rating system developed by the Australian Green Building Council. The objective is to evaluate a building’s environmentally relevant design and construction and performance. It contains various categories that rate all manner of environmental impact that may arise as result of the specific choice of a location for a product, the building process, its construction and maintenance. Environmental Product Information sheets, as well as classifications regarding LEED and Green Star, can be downloaded at www.wilkhahn. com under the respective product range. Wilkhahn joined the United Nations Global Compact initiative in 2007. This self-commitment statement contains the ten principles of the Global Compact regarding the protection of international human rights, adherence to labour standards and rights for employees, the protection of the environment and anti-corruption which are laid down as binding corporate policy. ISO 9001:2018 quality management system In order to safeguard and continually optimize the high quality of products and processes, a comprehensive quality management system was set up as early as 1996 which has since been certified in accordance with the ISO 9001 Quality Management Standard of the International Standardization Organization. Quality management centres on level of customer focus, management responsibility, the participation of all employees involved, process safety and the ongoing improvement of the same, transparent decision-making structures and supplier relations. In addition, Wilkhahn is certified in accordance with ISO 14001, the international Environmental Management Standard which sets out internationally recognized specifications for an environmental management system, such as reducing ecological footprints and evaluating environmental data and environmental performance. 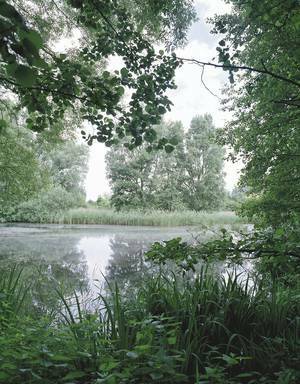 EMAS is the acronym for Eco-Management and Audit Scheme, developed by the EU. As a combined environmental management and auditing system, its purpose is to verify that companies are improving their environmental performance. Wilkhahn became one of the first companies in Lower Saxony to be certified to comply with the new version of EMAS III. In the environmental declaration, confirmed by annual audits, Wilkhahn gives a public account of the company’s environmental performance. In the design and development process, ecological impact is also taken into consideration in addition to design, functional and business-related aspects. For this is where the most important factors are already determined that set the course for selection of materials, the manufacturing process, options for assembly, logistics and transport, repairability and recyclability. This overview shows the key aspects for the entire product life cycle that are currently applicable at Wilkhahn. The materials used are subject to stringent control. Prohibited chemicals are not used in the products at all. All manufacturing supplies are contained in a register of hazardous substances that forms a basis for further minimization or substitution in the case of potential problematic substances. With the goal being to achieve maximum durability and quality, some recycled materials are used in the production of Wilkhahn ranges. This applies in particular to metals like steel and aluminium. Water conservation, waste management and sustainable energy production Water is becoming an increasingly important resource. Wilkhahn spares no effort in minimizing water consumption in all areas. By treating process water, recycling and using state-of-the-art varnishing machinery, no waste water is produced that requires monitoring. The Wilkhahn waste management concept includes sorting waste according to one-type materials, as well as recycling and disposing of all waste fractions resulting from production and admin. The continual decrease in energy consumption is an important goal of the environmental management system. A combined heat and power plant and connection to a biogas plant at the Bad Münder site have more than doubled energy efficiency. As a result, heating at the headquarters and production facilities is CO2 neutral. 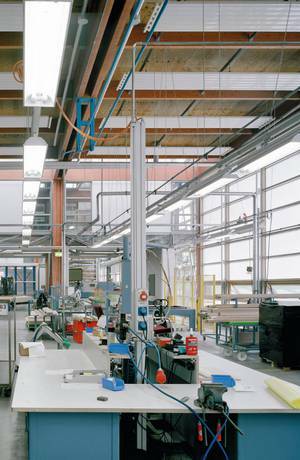 Wilkhahn products are manufactured and assembled in Bad Münder (Germany) and Sydney (Australia). The branch facilities and the international subsidiary companies are not only subject to quality management requirements, but also to guidelines for the socioecological focus of corporate policy which apply through the entire company. Aesthetics and design Products are sustainable if they serve a purpose. The timeless design of the Wilkhahn ranges also means they are useful, intuitive to operate and the materials used have an enduring quality. A standard that is reflected by every single detail. The Wilkhahn design approach therefore results in an increase in utility that is meant to last. The ranges set standards for product design that is “sustainable” in the most optimal way. The durability of the high-quality materials used, the innovative functional concepts and the classic, understated design guarantee usability for many decades. We give a two-year manufacturers’ guarantee so that planning is ensured. We can vouch for this regardless of the long product service life entailed. We regard guarantees over and above such timeframes as an investment in the future. Our service in terms of “ecological prolongation of service life” includes general overhauling and maintenance of products from older ranges. 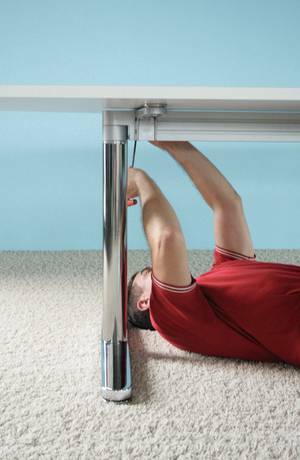 Wilkhahn offers repair service for furniture units no longer produced for two further years following discontinuation. 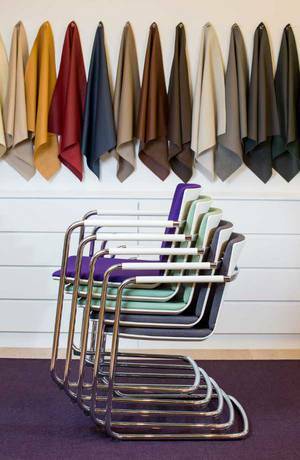 Virtually all Wilkhahn products undergo certification in the USA in accordance with GREENGUARD Indoor Air Quality™. GREENGUARD ™ is a certification programme for low-emission products. Our responsibility does not stop at the end of the utilization phase of a product as we offer our customers extensive services for taking back and recycling used products. We guarantee that used products may be returned in their entirety. They are disassembled at our plant, all components are sorted according to one-type materials and – if possible – are recycled. Due to the clear marking and identification of all materials, due to their nontoxicity and due to easy dismountability, we can today ensure that the components of a Wilkhahn product are returned to both decentral and local material and production cycles and are properly recycled and, if necessary, disposed of. Most components permit non-destructive disassembly. Any components weighing more than 150 g bear a material identification mark to ensure that materials can be sorted according to a single type. No material protecting agents or halogen- organic combinations are used that prevent subsequent recycling.